Merriam Webster’s Dictionary defines alignment as: an arrangement of groups or forces in relation to one another. When we look at elevating ourselves, a question we should consider is “Who are we aligned with?” Your surroundings definitely have an impact on your elevation. Be with the people who share the same values and beliefs as you. Who are looking to make themselves better constantly, who take you to another level spiritually and be there for you in ways money can’t buy. 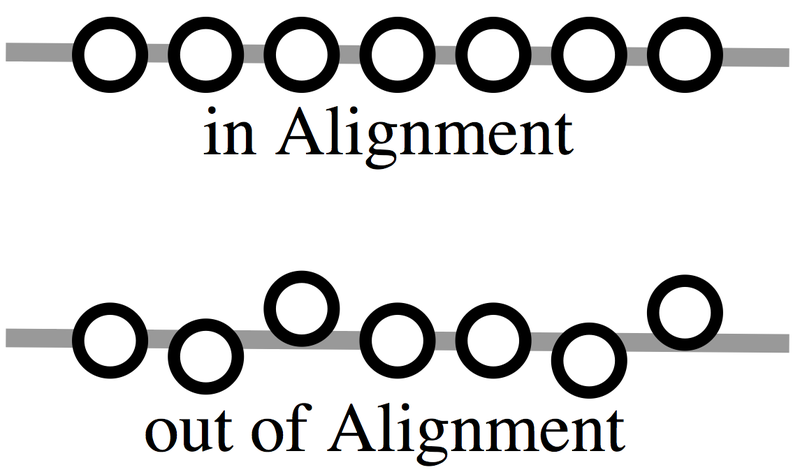 Let’s dissect the definition of alignment real quick. The phrase: “an arrangement of groups or forces in relation to one another”. Energy as we know is huge. One’s energy can bring warmth or leave you freezing cold. When in company of the right people, you should always feel welcomed, at ease, at peace. Your “circle”, “clique”, “squad” should represent nothing but LOVE. They should be of prestige, people of integrity, people who you can network with and who are supportive of your dreams. They don’t carry feelings of hate, jealousy and malice in their hearts. They celebrate you at your highs and are there to comfort you at your lows. Sometimes in life we need to do an “energy check” just to make sure the people we are aligned with are still on the same page. I have come to realize in my adulthood that it’s ok for the energy to change among people I once aligned myself with. But once I recognize and have felt the change I need to be ok with the removal of that “energy”. Does it make that person bad? “No.” We just are not in the same alignment anymore. Thank you so much for the feedback!! Greatly appreciated!